When most of us think about heroes our thoughts turn to characters like Superman or Wonder Woman, or people like police officers and firefighters, world leaders or war vets. We don’t often think about little girls or working-class parents. But it turns out that heroes come in all shapes and sizes. It’s just that sometimes their capes and badges are replaced with sippy cups, syringes and handy wipes. 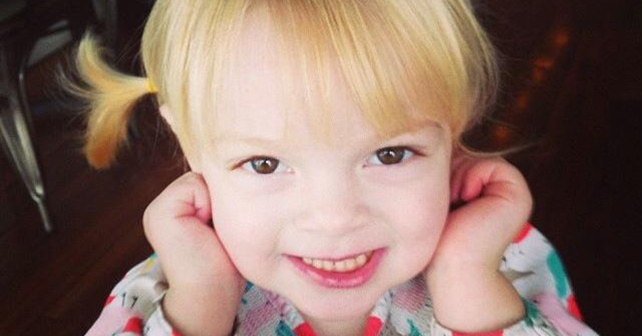 When you first meet Hadley Alexander, she seems like a typical, sweet and exceptionally cute four-year-old girl. Hadley has a smile that can light up a room, even if few in the room realize that the bubbly, fair-skinned, blond-haired beauty has a g-tube in her stomach so she can take medicine every six hours. Medicine that often causes her to throw up. Cystinosis is the extremely rare metabolic disease Hadley battles every day. The genetic disorder, which causes the amino acid cystine to accumulate and then destroy every major organ in the body, is so rare that it afflicts only 500 kids and young adults in the U.S. and just 2,000 worldwide. Considered an “orphan” disease since it affects so few, cystinosis has traditionally had little research or studies done about it. That’s why up until rather recently, the lifespan for kids with cystinosis was less than a decade. But thanks to some heroes like Hadley and her family, more and more studies are being done, treatments are improving and the lifespan for cystinosis patients is now increasing by decades. There’s even hope someday for a cure. Hadley was born on September 6th, 2010, and arrived in the world as healthy as her older sister, Stella. As is the case with most cystinosis patients, Hadley was progressing nicely until she was about six months old. At about that time, she became exceedingly thirsty, drinking tons, but showing no interest in any kind of food. Hadley’s motor skills began to diminish and all kinds of tests were done to try to figure why she was experiencing a failure to thrive. By her first birthday, Hadley weighed less than she did at six months. By a year-and-a-half, her blood work was completely out of whack and the doctors began diagnosing her with everything from rickets to fanconi syndrome. Eating programs and physical therapy weren’t working, Hadley had become extremely weak and eventually a pediatric nephrologist who’d had another patient with cystinosis put the puzzling pieces together and full diagnosis became official. 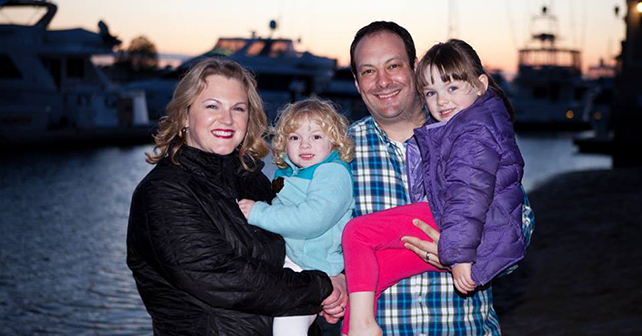 Inspired by their visit to the Cystinosis Research Foundation’s annual “Day of Hope” and “Natalie’s Wish” events and fundraiser in Newport Beach, the Alexanders returned to the Gem State and decided to do some fundraising of their own. They were hoping to raise a few thousands bucks and help raise some awareness about cystinosis. So last September, they put on the first “Hearts for Hadley” fundraiser at the historic Linen Building in downtown Boise. And to call the event a success would be a poor use of the adjective. The event was nothing shy of triumphant. Supported by local TV news and scores of Boisians, more than $60,000 was raised that night. Hadley made an appearance at the event that night, and besides the nearly daily vomiting, the Alexanders are happy to report that she’s living a pretty normal life for a four-year-old—a four-year-old hero, that is. Mike McKenna is an award-winning author, journalist, poet and humor writer. Originally from New England, Mike’s career began in earnest over a decade ago as a staff writer with The Sheet, a weekly newspaper in Mammoth Lakes, California, where his work still regularly appears. 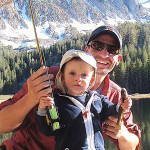 Mike now lives in Hailey, Idaho, with his wife and two young sons/fishing buddies, Jack and Sam. He can be reached at mike@castingaroundamerica.com. Heart wrenching but hopeful. Where can I make a donation? 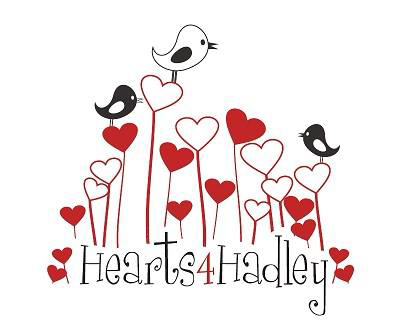 Thanks for the kind comments and for supporting Hearts for Hadley!